When you need a Dania Car Accident Attorney you can trust, call the Law Offices of Robert E. Gluck, P.A. 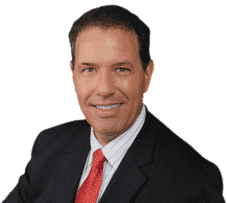 Robert Gluck has been a lawyer since 1989 and has the experience and knowledge to help you build a solid case and get you the financial compensation you deserve for your injuries. He is passionate about what he does and will go above and beyond to meet your needs. If you've been in a car accident that wasn't your fault and have sustained any injuries, you may be entitled to compensation from the person who caused your accident. Negligence is the legal standard of care one must follow to avoid injury to others. If negligence existed, your Dania Car Accident Attorney will be able to build a case for you. As soon as you are in an accident, hire Dania Car Accident Attorney Robert Gluck so he can start building a strong case for you. He will start by proving negligence existed by launching a thorough investigation and collecting the necessary evidence. He will get any witness statements, take photographs of the accident scene, secure video footage, and obtain any other evidence he feels will be important. It's important to seek the help of a Dania Car Accident Attorney rather than trying to handle the legal proceedings on your own. Studies have shown that an attorney can get you a higher compensation than when you try to prove your own case. Robert Gluck will work hard to make sure the person responsible for your accident pays for your medical bills and treatment.